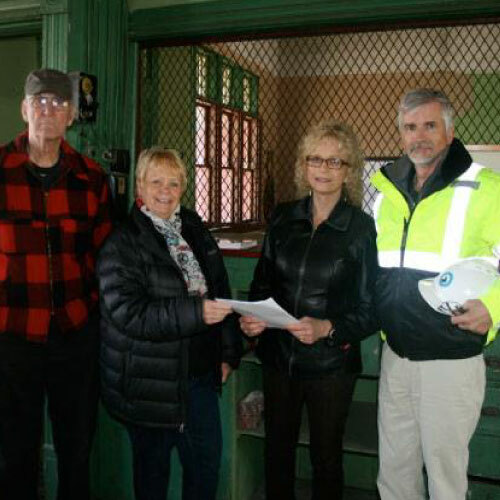 On May 13th the Greenville Junction Depot Friends signed a long-term lease of the Depot Building and it’s immediate property from the Central Maine and Quebec Railway. This truly represents a new era for the depot. Not only does this make it so we no longer need to look for a piece of property to buy, it greatly reduces the overall cost and complexity of the project. We are thrilled to announce that the future is looking very bright for our little depot! A very special thanks to everyone who was involved over the last several months of putting this lease together and especially to the CMQR for allowing us to preserve a piece of regional character.